And, if you’re looking to save on your utility bills, Family Danz is happy to offer high-efficiency central air conditioning to our Troy, NY customers as well. Our highly skilled technicians, who take pride in their craftsmanship and in our outstanding product line-up, install all of our products. Our aim is your complete satisfaction with your central air conditioning system. 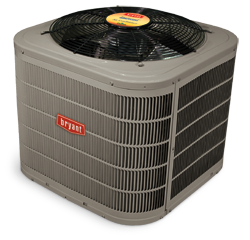 Turn to the experts at Family Danz for the best central air conditioning in Troy, NY. You’ll stay cool and comfortable all summer long when you trust Family Danz to install central air conditioning in your home. We offer the best, most efficient systems from trusted brands, and we always treat you like family – we’re not happy until you’re fully satisfied with our work. If you live in the Troy, NY area and need central air conditioning, don’t suffer through another sweltering summer – simply call Family Danz at (518) 427-8685for assistance.